Win one of twenty Stokke Tripp Trapps & accessories – total prizes worth more than $10 000! What a huge month! It’s Christmas and we’re all racing around buying gifts, organising parties, making sure the kids are fed and well-watered in the hot weather; it sure is a busy time! Make sure you’re not too busy to enter this amazing competition; it’s cracked the hallowed $10 000 barrier and twenty winners can each have a slice of the pie thanks to Exquira, distributor of exquisite Stokke products. 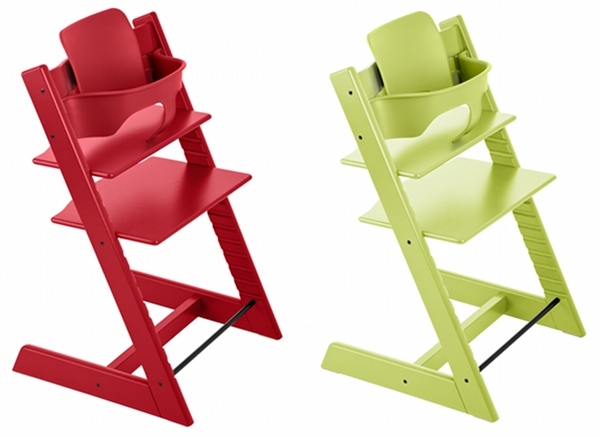 They’re celebrating Christmas by giving away ten Stokke Tripp Trapps in red and ten in green, plus some invaluable accessories. The value of each gift pack is over $500, with a total prize pool of more than $10 000! The prizes include shipping within Australia. 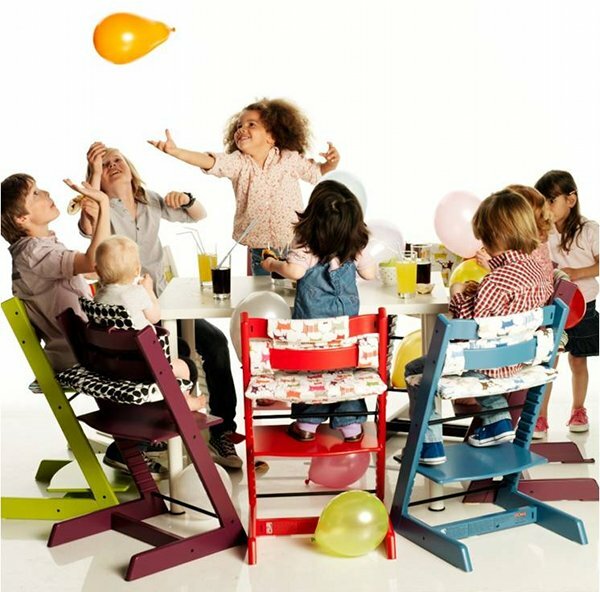 The Stokke Tripp Trapp is the original pioneer of multi-functional furniture, lasting from babyhood to uni in its various guises from highchair to desk chair. Simply adjust as your child grows and look forward to the day your grandchild receives it; yes it has that much potential for longevity! Also included is the Stokke Tripp Trapp Baby Set, which turns the chair into a highchair from the time baby can sit up to eat solid food. Baby can sit in comfort on the Tripp Trapp Cushion which is easily removed and washed. If you’d like to buy a Stokke Tripp Trapp right now, please refer to the Where to Buy page at Exquira, for stockists near you. Make sure you get those entries in by midnight 31 December 2011. To be in the draw, be sure to enter by answering our questionnaire.